Why engage in arbitrage? Because we like to make money; bootstrapping new sites, out of stock inventory and inflating Alexa traffic rankings. Who are the arbitrageurs? Yahoo Shopping, CNet, Shopping.com, Verizon, Info.com, PriceGrabber, NextTag, eBay, etc. arbitrage isn’t just for MFA sites. Real businesses are using arbitrage as part of their “real” business model. Arbitrage is not a “shhh…” word. It will continue to grow… It will make the space more competitive. Search engines will attempt to grow revenue from arbitrage. The end came suddenly, well before Nye and American Capital could reposition the business – in fact they were still hiring new employees in the days leading up to the layoffs. Google had started to look more closely at companies like Geosign, which were buying keywords from Google and ad links from Yahoo! or another provider. And soon Geosign got word that Google would now begin penalizing its Web pages that had “a low landing page quality score” – that is, lots of ads and little or no original content. While Google won’t comment specifically about Geosign, sources say it raised the prices it charged Geosign for keywords overnight. In the years since GeoSign has split into 2 companies (GeoSign & Moxy Media) and the world of arbitrage has died down. As stuff wound down Moxy Media was awarded a $97,900 grant from the Canadian government as the end was near. So that was the death of arbitrage. When American Capital bought Geosign and formed Moxy Media in Sept., 2007, Mr. Hastings was named president and CEO and helped increase the company’s earnings before interest, taxes, depreciation and amortization by 375 per cent in 2009 over 2008, he says. The company now owns and operates more than 300 consumer information websites. With Yahoo! Search Marketing transitioning to Microsoft adCenter the world of arbitrage was supposed to evaporate. 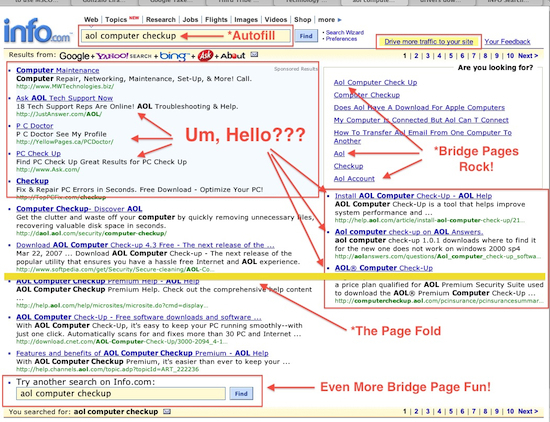 But after Google wiped out affiliates, it appears that left an opening for the rebirth of search arbitrage. Most users and advertisers are used to seeing to Ask.com arbitrage Adwords to internal sponsored links, but even Ask doesn’t get as blatant about it as info.com. How have they fared since low quality advertisers were purged from the system in 2009? Why engage in arbitrage? Because we like to make money; bootstrapping new sites, out of stock inventory and inflating Alexa traffic rankings. Who are the arbitrageurs? Yahoo Shopping, CNet, Shopping.com, Verizon, *Info.com*, PriceGrabber, NextTag, eBay, etc. arbitrage isn’t just for MFA sites. Real businesses are using arbitrage as part of their “real” business model. Arbitrage is not a “shhh…” word. It will continue to grow… It will make the space more competitive. 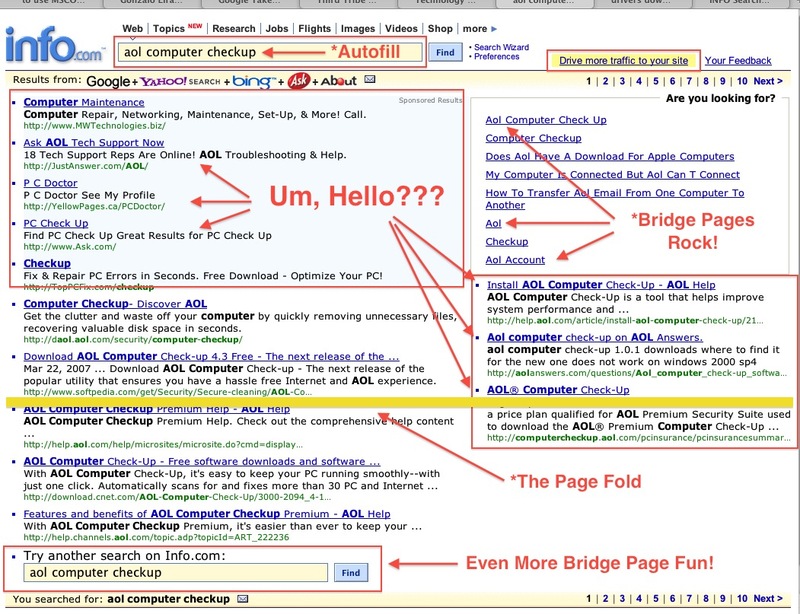 Search engines will attempt to grow revenue from arbitrage. It’s not set and forget when it comes to traffic quality. If they don’t need affiliate money then why are they opening themselves up to the (g)arbitrage game again? It is very possible Google had to relax their rules due to anti-trust concerns. A lot of PPC arbitragers are arguably “search engines” and if they are, blocking them will hurt Google a whole lot more than it will help them. Alternatively Google might just enjoy the money since the majority of current PPC arbitragers on Google appear to be feeding the traffic right back through Google feeds. Google’s most recent redesigns of their own search engine are making them look a whole lot more like an ad farm than they did in 2006. The quality concerns about arbitrage traffic are questionable. I have never seen any data on my side that told me that arbitrage sites were sending me poor quality traffic (often it is really good quality.) However, arbitrage sites definitely are driving up bid costs for other advertisers, which is a downside for advertisers, not publishers. Stuff comes and goes in Adwords as well, and advertisers are constantly changing up the landing pages to optimize and toe the line at the same time. I’m going back in memory somewhat, but arb kind of fell into the Anti-MFA push. The traffic quality from MFA seemed to back out ok in the beginning but then it tanked hard as it got more aggressive, with people just clicking anything at all to get out of the endless click loop. I noticed the very same trend in Germany as well. Preisvergleich.de, one of the biggest arbitrage sites was killed first, but then came back last year. The same company is running news.de and several domains with the same offer (hotels). There are many more low value arbitrage sites such as kaufen.com, preisvgl.de, etc., and obviously ask.com. … seems that Google is not taking seriously into account its principle to deliver the best user experience. One further thougt about that: All these arbitrage specialists are very good in what the do. 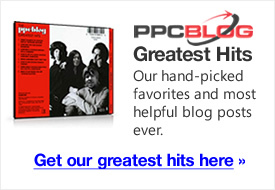 They are able to handle and optimize huge amounts of keywords in a competitive environment. Maybe these guys are filling the gaps in the long tail and generate too much revenues to block them. I am an ex-Geosign employee. I recently heard a well-sourced rumour that Moxy Media has a deal with Google to allow arbitrage up to a certain dollar level. And I would suspect that Hastings and Moxy game this agreement for all its worth while Google turns a blind eye, counts profits and impresses its shareholders quarter after quarter. Moxy reported “sales” of over 200 million in 2009. Garbitrage is alive and well and it’s starting to look like it always will be. My take is that arbitrage has also turned full circle as a business model. As someone who has been arbitraging for a decade now I can say that the so called golden years when early ppc arbitrage pioneers cleaned up record revenues led to a period of saturation in the middle years as too many players hit the market. This chewed up ad space and at times made sponsored listings look ridiculous with certain terms leading through one big ad loop. Also the search networks really were caught napping and improving advertiser analytics showed how a lot of traffic from some quarters was really very poor. So arbitragers have been hit on the advertiser side and also on the network side as traffic gets scored which never used to happen. Opinions on arbitrage at the search networks vary, not sure what they expect though since much of their businesses were built off the back of arbitrage, Yahoo! is particularly dependent even though they have been busy cleaning house. I think arb is back for some players, most won’t get the required search feeds so perhaps its found its place finally? The number one Adwords spender in Europe is an agency in London doing worldwide arbitrage for Ask.com. They sound fairly similar to Geosign, doubling profits every year etc by increasing their arbitrage game. However they are very cosy with Google and pretty transparent with them. Now that Ask has ditched the search game maybe that’s come to an end? I think arbi is a retargeting game, result in lower rank advertisers get no click which have to rise the bid, google get more sale from top advertisers even after give share to arbi players. from both side google get more rev. So I do not see any bad side of arbi optimization. advertiser just face a tougher competition of traffic.